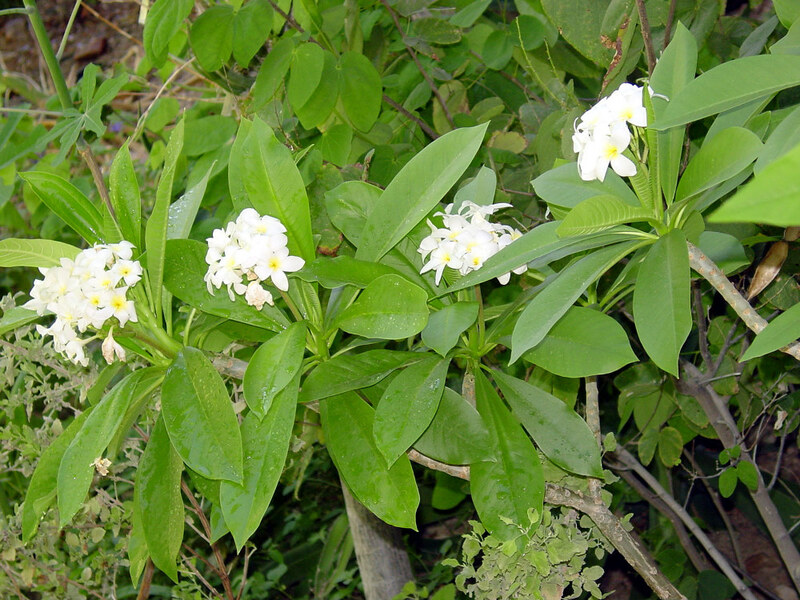 Caribbean islands. 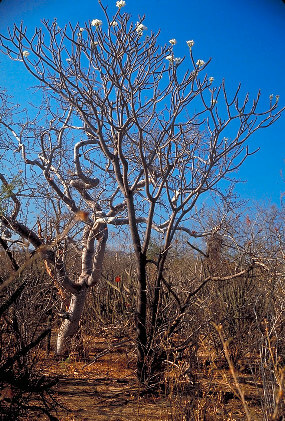 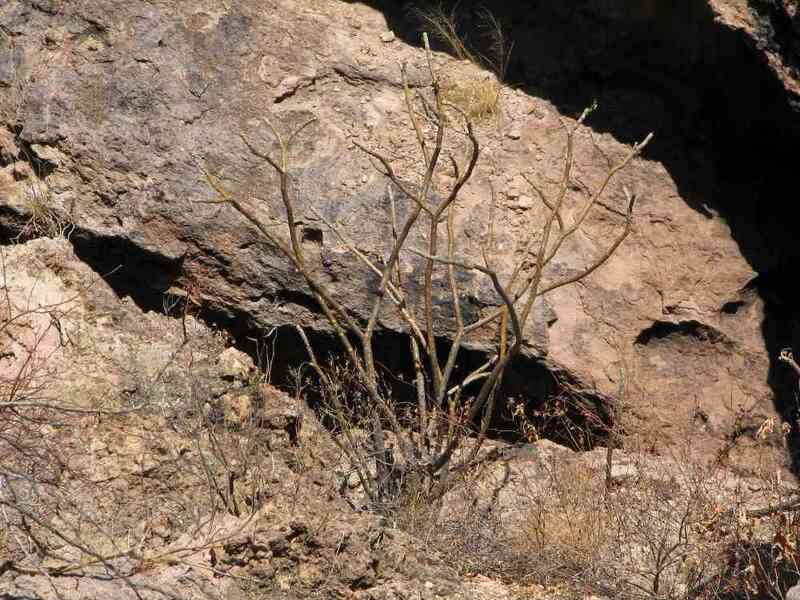 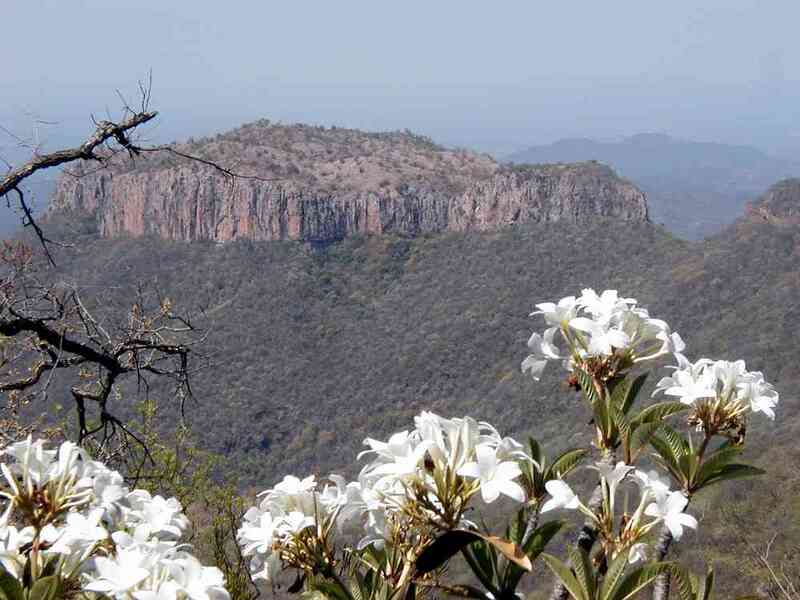 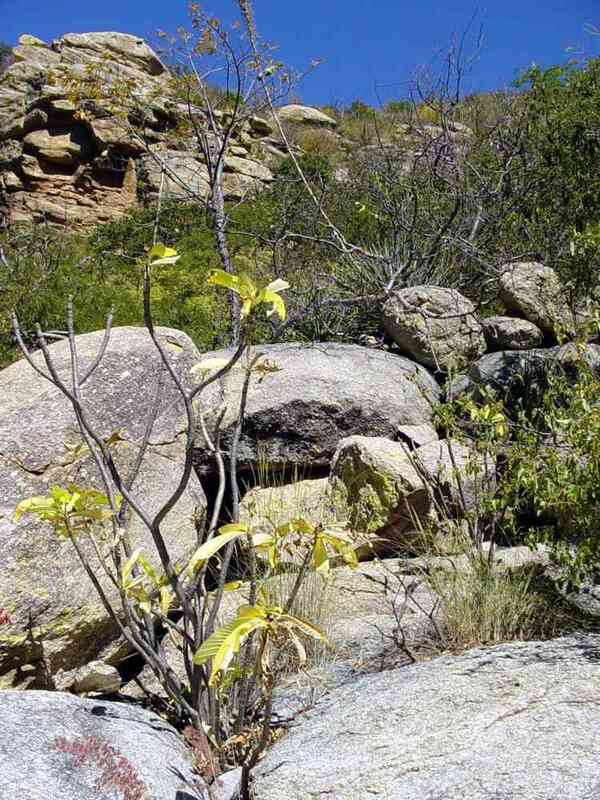 It is usually a shrub in Sonora, but occasionally grows to more than 20 feet tall (7 m). The Sonoran plants always have white flowers with yellow centers; colored forms occur farther south. 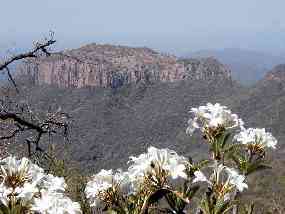 They bloom at the end of the spring dry season.